Manage your global real estate investments on your smartphone. Easily track the market value and performance of the properties you own. Optimize your existing property portfolio and plan out the investment steps you want to make in order to retire safely and with confidence. Record all your global residential properties that you track in a centralized location. 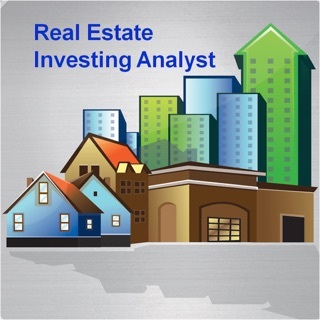 Receive monthly price valuation updates on your investments. View the value of your total property portfolio in a single currency of your choice. Visualize your individual properties using professional analytics, metrics and yields. Break down your mortgage costs and expenses like maintenance fees, property taxes and property insurance. Manage your investment properties confidently. Receive clear and concise instructions to complete your required property management tasks. Be notified about task outcomes and updates on your investments. Plan your finances better with Milestones giving you an overview of upcoming tasks, scheduled happenings and past events. Map out your financial future with Financial Planner. Get a bird’s eye view of your assets and their long-term returns. Start setting your financial goals – How much passive investment income would you like to have monthly during retirement? What are your property investment targets? Planner helps you make sensible decisions about your next global real estate investment(s) to allow you to achieve your long-term investment and cash flow goals. Keep up to date with global real estate news and trends with Markets. Receive quarterly market reports, analysis on global events and exclusive investment deals. Thanks for using Property Passbook! New features are released regularly to make your real estate investment experience even better. We routinely update our app with improvements for speed and reliability, so be sure to download our latest version to get the full experience. Purpose driven and actionable. All the key property investing points worth tracking are here. Obviously the best use case is for multiple property management, but even having one on the app was a benefit as it centrally housed all the mess of separate financial bits—maintenance fees, insurance payments, taxes, deposits etc.—in one clean timeline. No properties? I’d still recommend using their financial planner and Markets features, but I’m a bit of a news nerd and the round ups they feature monthly feed into that. I love being able to see a snapshot of all of my RE investments, and the portfolio feature is the best experience I’ve had with tracking key metrics of properties. The app simplified a lot of prior pain points I had, I’ll be continuing to use for sure! Requires iOS 10.0 or later. Compatible with iPhone 5s, iPhone 6, iPhone 6 Plus, iPhone 6s, iPhone 6s Plus, iPhone SE, iPhone 7, iPhone 7 Plus, iPhone 8, iPhone 8 Plus, iPhone X, iPhone XS, iPhone XS Max, and iPhone XR.